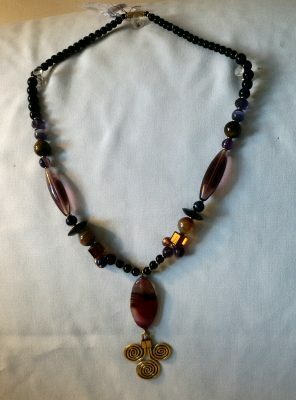 A swirling brass pendant dances under a purple moonstone while rising above are matched glass beads ending with a brass twist clasp. 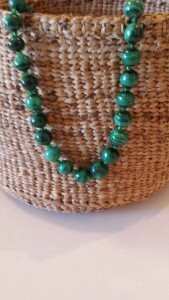 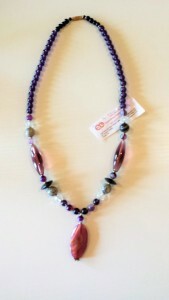 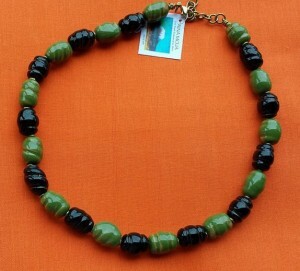 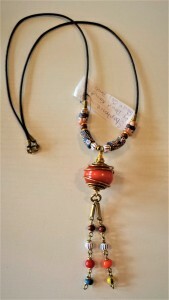 This carefully hand crafted necklace was assembled by Kimani in Nakuru, Kenya. 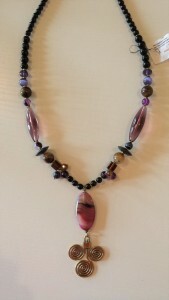 It measures about 14 inches long.